The premier tool for finding jobs in the hedge fund market all over the world, the HFObserver individual subscription gives users the tools they need to find and apply for hedge fund jobs all over the world. Go to Institutional Plans - Compare Memberships. Copyright © 2010-2019 - HFObserver - The Kronor Group - All Rights Reserved. 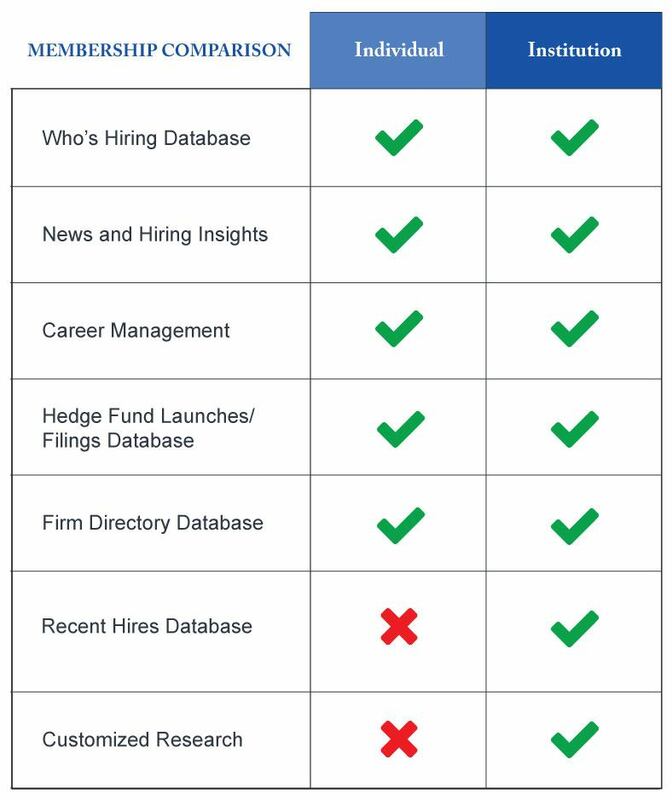 Track talent and trends in the hedge fund market.